Pre-Owned 2018 BMW X2 sDrive28i FWD SUV - JUST 4,605 Miles! Leasing for above average qualified buyers through BMW FS $184 plus tax per mo. for 36-month term. Based on selling price of $38,743. Original MSRP $46,260. $6,375 due at signing is after $5,250 Lease Credit is applied and includes first month’s payment, acquisition fee, dealer documentation fee and license/registration fees. No security deposit required. All advertised prices excludes government fees and taxes, any finance charges and any emission testing charge. Lessee responsible for excess wear, tear and mileage over 30,000 miles total lease term @ $0.25 per mile over allowance. One at this price stock #L381321/VIN EJ84581. Vehicle was previously in service loaner. See dealer for complete details. Expires 4/30/19. Pre-Owned 2018 BMW 3 Series 320i RWD Sedan - JUST 3,722 MILES! Leasing for above average qualified buyers through BMW FS $224 plus tax per mo. for 36-month term. Based on selling price of $30,497. Original MSRP $37,390. $3,755 due at signing is after $3,000 Lease Credit is applied and includes first month’s payment, acquisition fee, dealer documentation fee and license/registration fees. No security deposit required. All advertised prices excludes government fees and taxes, any finance charges and any emission testing charge. Lessee responsible for excess wear, tear and mileage over 30,000 miles total lease term @ $0.25 per mile over allowance. One at this price stock #L381290/VIN AH13610. Vehicle was previously in service loaner. See dealer for complete details. Expires 4/30/19. Pre-Owned 2018 BMW X1 xDrive28i AWD SUV - Only 3,675 Miles! Leasing for above average qualified buyers through BMW FS $244 plus tax per mo. for 36-month term. Based on selling price of $34,695. Original MSRP $40,895. $3,605 due at signing is after $4,250 Lease Credit is applied and includes first month’s payment, acquisition fee, dealer documentation fee and license/registration fees. No security deposit required. All advertised prices excludes government fees and taxes, any finance charges and any emission testing charge. Lessee responsible for excess wear, tear and mileage over 30,000 miles total lease term @ $0.25 per mile over allowance. One at this price stock #L381407/VIN 3H33068. Vehicle was previously in service loaner. See dealer for complete details. Expires 4/30/19. Pre-Owned 2018 BMW X1 xDrive28i AWD SUV - Only 4,355 Miles ! Leasing for above average qualified buyers through BMW FS $244 plus tax per mo. for 36-month term. Based on selling price of $34,895. Original MSRP $41,245. $3,789 due at signing is after $4,250 Lease Credit is applied and includes first month’s payment, acquisition fee, dealer documentation fee and license/registration fees. No security deposit required. All advertised prices excludes government fees and taxes, any finance charges and any emission testing charge. Lessee responsible for excess wear, tear and mileage over 30,000 miles total lease term @ $0.25 per mile over allowance. One at this price stock #L381362/VIN 3H31603. Vehicle was previously in service loaner. See dealer for complete details. Expires 4/30/19. Pre-Owned 2018 BMW X5 sDrive35i RWD SUV - Just 4,450 Miles! Leasing for above average qualified buyers through BMW FS $574 plus tax per mo. for 36-month term. Based on selling price of $51,888. Original MSRP $59,795. $1,745 due at signing is after $2,500 Lease Credit is applied and includes first month’s payment, acquisition fee, dealer documentation fee and license/registration fees. No security deposit required. All advertised prices excludes government fees and taxes, any finance charges and any emission testing charge. Lessee responsible for excess wear, tear and mileage over 30,000 miles total lease term @ $0.25 per mile over allowance. One at this price stock #L381222/VIN 0Z21961. Vehicle was previously in service loaner. See dealer for complete details. Expires 4/30/19. Pre-Owned 2019 BMW 4 Series 430i RWD Sedan - Only 4,557 Miles! Leasing for above average qualified buyers through BMW FS $494 plus tax per mo. for 36-month term. Based on selling price of $41,870. Original MSRP $48,370. $1,379 due at signing is after $2,250 Lease Credit is applied and includes first month’s payment, acquisition fee, dealer documentation fee and license/registration fees. No security deposit required. All advertised prices excludes government fees and taxes, any finance charges and any emission testing charge. Lessee responsible for excess wear, tear and mileage over 30,000 miles total lease term @ $0.25 per mile over allowance. One at this price stock #L390076/VIN BM16651. Vehicle was previously in service loaner. See dealer for complete details. Expires 4/30/19. Pre-Owned 2019 BMW 4 Series 430i RWD Sedan - Only 1,868 Miles! Save $6,000 Off Original MSRP $3,072 Due at Signing. Leasing for above average qualified buyers through BMW FS $494 plus tax per mo. for 36-month term. Based on selling price of $45,665. Original MSRP $51,665. $3,072 due at signing is after $2,250 Lease Credit is applied and includes first month’s payment, acquisition fee, dealer documentation fee and license/registration fees. No security deposit required. All advertised prices excludes government fees and taxes, any finance charges and any emission testing charge. Lessee responsible for excess wear, tear and mileage over 30,000 miles total lease term @ $0.25 per mile over allowance. One at this price stock #L390212/VIN BM17461. Vehicle was previously in service loaner. See dealer for complete details. Expires 4/30/19. Pre-Owned 2019 BMW X3 xDrive30i AWD SUV - JUST 4,701 Miles! 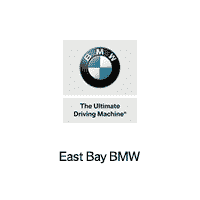 Leasing for above average qualified buyers through BMW FS $374 plus tax per mo. for 36-month term. Based on selling price of $40,713. Original MSRP $47,435. $4,302 due at signing is after $2,000 Lease Credit is applied and includes first month’s payment, acquisition fee, dealer documentation fee and license/registration fees. No security deposit required. All advertised prices excludes government fees and taxes, any finance charges and any emission testing charge. Lessee responsible for excess wear, tear and mileage over 30,000 miles total lease term @ $0.25 per mile over allowance. One at this price stock #L390174/VIN LD97561. Vehicle was previously in service loaner. See dealer for complete details. Expires 4/30/19. Pre-Owned 2018 BMW X1 xDrive28i AWD SUV - Only 4,566 Miles! Leasing for above average qualified buyers through BMW FS $244 plus tax per mo. for 36-month term. Based on selling price of $35,784. Original MSRP $41,810. $4,490 due at signing is after $4,250 Lease Credit is applied and includes first month’s payment, acquisition fee, dealer documentation fee and license/registration fees. No security deposit required. All advertised prices excludes government fees and taxes, any finance charges and any emission testing charge. Lessee responsible for excess wear, tear and mileage over 30,000 miles total lease term @ $0.25 per mile over allowance. One at this price stock #L381298/VIN 5L33325 Vehicle was previously in service loaner. See dealer for complete details. Expires 4/30/19. Leasing for above average qualified buyers through BMW FS $214 plus tax per mo. for 36-month term. Based on selling price of $35,245. Original MSRP $41,245. $5,052 due at signing is after $4,250 Lease Credit is applied and includes first month’s payment, acquisition fee, dealer documentation fee and license/registration fees. No security deposit required. All advertised prices excludes government fees and taxes, any finance charges and any emission testing charge. Lessee responsible for excess wear, tear and mileage over 30,000 miles total lease term @ $0.25 per mile over allowance. One at this price stock #L38409/VIN 5L09398. Vehicle was previously in service loaner. See dealer for complete details. Expires 4/30/19. Pre-Owned 2018 BMW 3 Series 320i xDrive AWD Sedan - JUST 4,609 MILES! Leasing for above average qualified buyers through BMW FS $234 plus tax per mo. for 36-month term. Based on selling price of $36,743. Original MSRP $43,525. $5,768 due at signing is after $3,000 Lease Credit is applied and includes first month’s payment, acquisition fee, dealer documentation fee and license/registration fees. No security deposit required. All advertised prices excludes government fees and taxes, any finance charges and any emission testing charge. Lessee responsible for excess wear, tear and mileage over 30,000 miles total lease term @ $0.25 per mile over allowance. One at this price stock #L381351/VIN A499570. Vehicle was previously in service loaner. See dealer for complete details. Expires 4/30/19. Pre-Owned 2018 BMW X1 xDrive28i AWD SUV - Only 4,066 Miles! Leasing for above average qualified buyers through BMW FS $244 plus tax per mo. for 36-month term. Based on selling price of $34,895. Original MSRP $40,895. $3,918 due at signing is after $4,250 Lease Credit is applied and includes first month’s payment, acquisition fee, dealer documentation fee and license/registration fees. No security deposit required. All advertised prices excludes government fees and taxes, any finance charges and any emission testing charge. Lessee responsible for excess wear, tear and mileage over 30,000 miles total lease term @ $0.25 per mile over allowance. One at this price stock #L381378/VIN 3H31656. Vehicle was previously in service loaner. See dealer for complete details. Expires 4/30/19. Pre-Owned 2019 BMW 7 Series 740i RWD Sedan - Just 1,497 Miles! Leasing for above average qualified buyers through BMW FS $734 plus tax per mo. for 36-month term. Based on selling price of $74,686. Original MSRP $91,065. $7,538 due at signing is after $1,000 Lease Credit is applied and includes first month’s payment, acquisition fee, dealer documentation fee and license/registration fees. No security deposit required. All advertised prices excludes government fees and taxes, any finance charges and any emission testing charge. Lessee responsible for excess wear, tear and mileage over 30,000 miles total lease term @ $0.25 per mile over allowance. One at this price stock #L390208/VIN B217729. Vehicle was previously in service loaner. See dealer for complete details. Expires 4/30/19.